Haridwar (or Hardwar), literally meaning “the gateway to the gods”, is an important pilgrimage centre; it is situated in the beautiful hill state of Uttarakhand. This holy city is one of the sapta-puris i.e., the seven holy cities of India. In addition, this place is the gateway to three other pilgrimage centres of Uttarakhand, namely Rishikesh, Kedarnath and Badrinath. The city of Haridwar is also known as Mayapuri, Kapila, Moksha Dwar and Gangadwar and finds mention in various ancient Hindu epics. The history of this sacred place dates back to the era of the illustrious King Vikramaditya. The destination is known for its world famous religious centres and tourist attractions. Most of the pilgrim spots here are situated on the banks of the holy Ganges river. 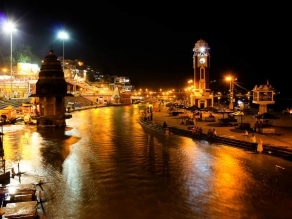 The most important and pious site here is Har-ki-Pauri, which is popularly called Brahm Kund. This is the point from where the river Ganges exits the mountains and enters the plains. There are footprints on the ghats that are believed to be of the Hindu Lord Vishnu. Devotees visit this place to perform different rituals, such as mundan (shaving off the head) and asthi visarjan (scattering the ashes of the dead into the river), to name a few. After every 12 years, Kumbh Mela is organised here and devotees from all over the world gather in large numbers participate in this grand religious fest. Some other popular religious sites here include the temples of Maya Devi, Mansa Devi and Chandi Devi. These three temples are counted among the 52 Shakti Peethas in India. Shakti Peethas are those places of worship which are consecrated to the Hindu Goddess Sati, also known as Shakti. According to a mythology, Goddess Sati sacrificed her life after her father insulted her husband, Lord Shiva. The death of Sati upset Shiva so much that he decided to carry her body to the Kailash Parvat. While doing so, her body parts fell at several places. It is believed that the Maya Devi Temple is constructed at the spot where Goddess’s naval and heart fell. The Vaishno Devi Temple, the Bharat Mata Temple and Piran Kaliyar are some of the other religious sites. Not many people know that the Vaishno Devi Temple of Haridwar is a newly constructed shrine, which is an imitation of the renowned Vaishno Devi Temple in Jammu. The path going towards the temple is full of tunnels and caves, just like the route to the Vaishno Devi Temple in Jammu. The Bharat Mata Temple is dedicated to Mother India and is one of the noted tourist attractions in Haridwar. This temple was built by the great religious guru, Swami Satyamitranand Giri, and has eight floors, each of which is devoted to various Hindu deities and freedom fighters. Travellers can see the idols of great Indian freedom fighters including Mahatma Gandhi, Veer Savarkar and Subhash Chandra Bose. Apart from these temples, the Sapt Rishi Ashram, the Shravanathji's Temple, the Chilla Wildlife Sanctuary, the Daksha Mahadev Temple and Gau Ghat also attract large numbers of tourists. Sapt Rishi Ashram is popular for having a great religious significance. As per the Hindu mythology, this ashram is built on the spot where the Sapt Rishis or the seven great sages, namely Atri, Kasyap, Jamadagni, Bharadwaja, Vashisht, Vishwamitra and Gautam used to meditate. While in Haridwar, the visitors can participate in various festivals including Ramanavami, Buddha Poornima, Kanvar Mela and Diwali. Every year, when Kanwar Mela is organised, Haridwar is thronged by more than 3 million people. Apart from being a noted religious destination, the place is known as the industrial giant owing to the presence of Bharat Heavy Electricals India Ltd (BHEL). It is also the place where the first technical institute of India, the University of Roorkee or IIT Roorkee was established. Travellers can reach Haridwar by air, rail and road. The nearest domestic airport to the destination is the Jolly Grant Airport, located at a distance of around 34 km. It is connected to the Indira Gandhi International Airport at Delhi by regular flights. 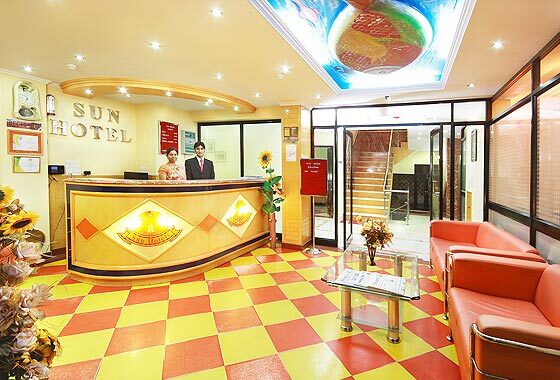 The closest railhead to the destination is the Haridwar railway station, which is well connected to most of the major destinations in India. The place can also be reached by buses from different parts of the country. 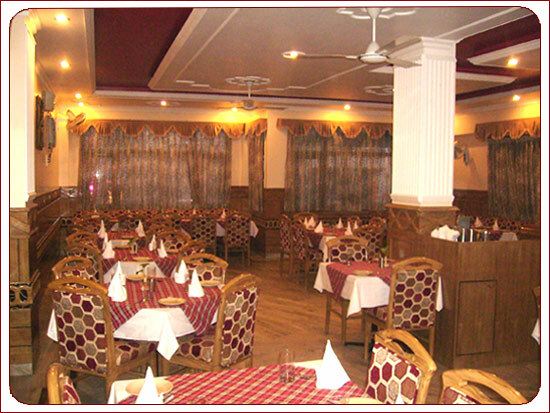 Besides, several deluxe buses to Haridwar are frequently available from New Delhi. 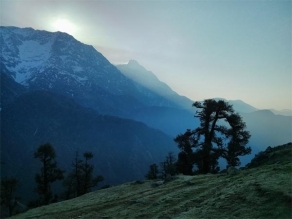 Summers are warm, winters are extremely cold, and monsoons are humid in Haridwar. The monsoons are not a good time to visit this place as the weather is uncomfortable during this time. 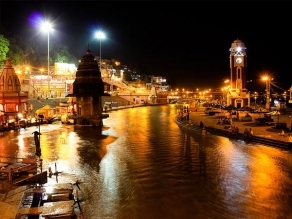 The best time to visit Haridwar is the period between September and June because of the pleasant weather. The place is well-linked to other parts of the country by state and private operated buses. Various deluxe tourist buses frequently ply for Haridwar from New Delhi. Haridwar has its own railway station, which is connected to important Indian cities. 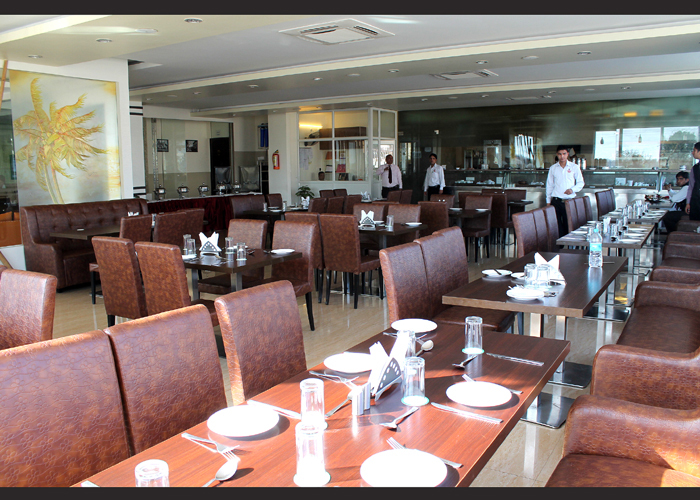 It is located just a kilometre away from the city centre. The closest airbase to Haridwar is the Jolly Grant Airport in Dehradun, which is situated at a distance of around 34 km from the destination. Flights to New Delhi are available from this airport on a daily basis. 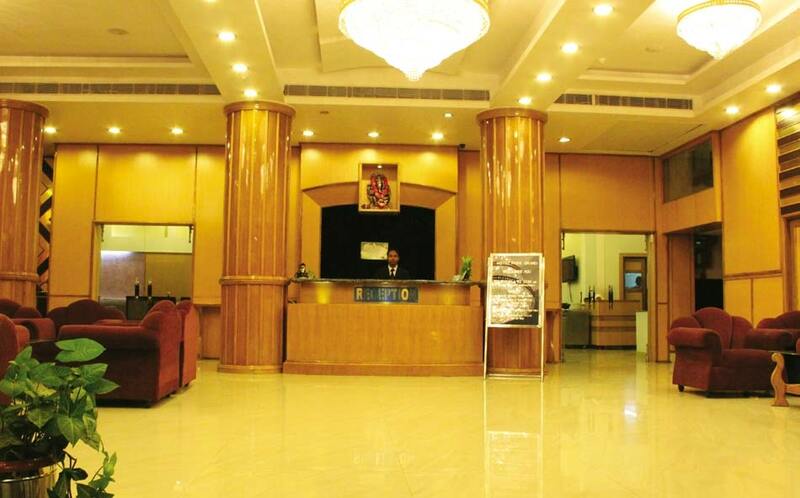 Travellers can hire taxis from the airport to reach Haridwar.